Pop Art, How I Love You. Yes, I know it's not the 1960s. But I can't help myself. Pop art will always be my great love. But I'm not into the stuff you typically see when you google "pop art" - I have developed my own style, as most artists do. One of my favorite things to paint is people, specifically kids. There is something about the expressions they make, they glint in their eye, the hair that tends to fly this way and that... it's so fun to paint! And kids tend to really lend themselves to a pop art style portrait and bright color scheme. Pop art is versatile, too. You can play with it and turn it into a theme. Take this portrait I did of my son, which is now hanging in his room. Just by choosing a blue and red color scheme and adding a text block, it's suddenly reminiscent of a super hero comic book. So cute! I create my paintings from a photo. I enlarge the photo then copy it over to the canvas. I use the enlarged photo as a reference guide/map and fill in the painting, usually starting with the darkest colors first, which in most cases is the eyes - so for a while it looks like I have a devil child staring back at me, no matter what picture I am working from! For a while I was painting a lot of dogs and by using this method they always started out looking rabid and evil until I started adding in the lighter colors, haha! 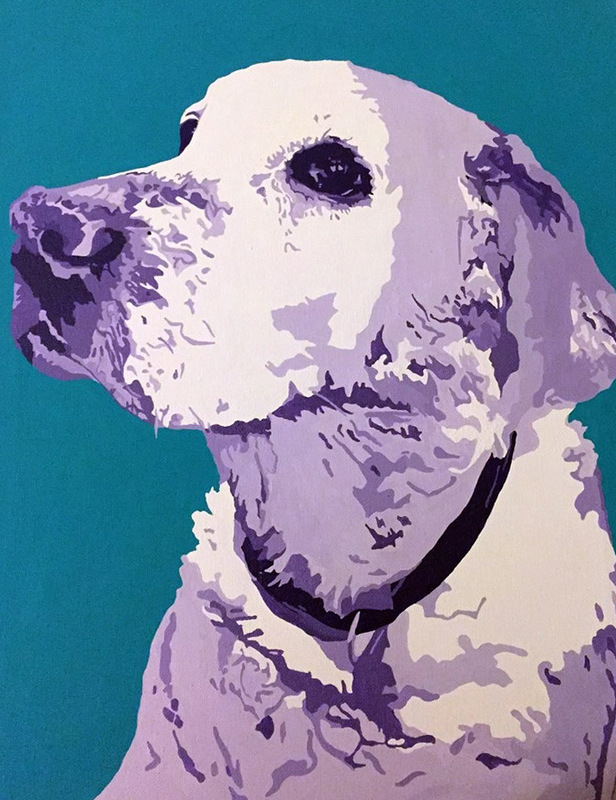 Penny the dog sadly passed away shortly after I completed this painting. This was commissioned as a tribute for the family who knew she would be leaving them, and it was a wonderful way to remember their beloved pet. 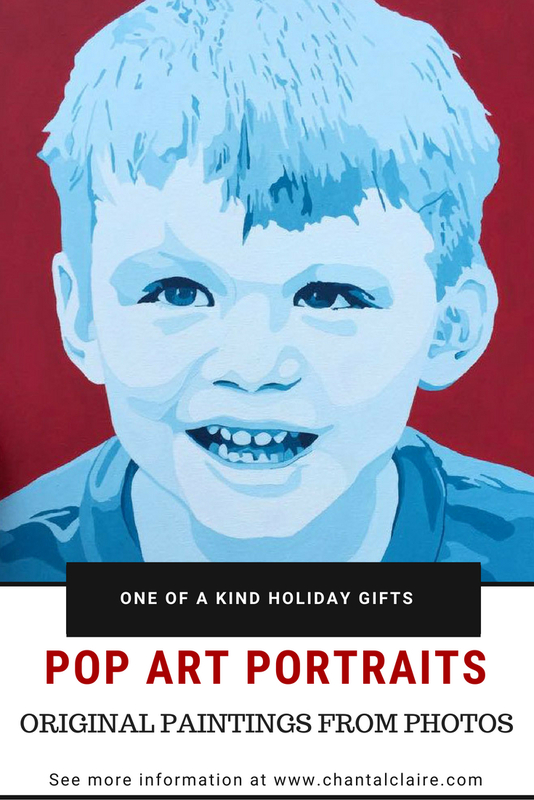 Pop art portraits make an excellent gift, I have found. Whenever I don't know what to give Hubber (which is pretty much every Christmas), I give him a painting of the kids done in this style. He's now got a mini gallery going in his office. It looks great! I have been commissioned to do portraits for others in the past and always get really busy around Christmas and just before Father's Day. If this is something you would like to give, get in touch with me. It's better to start early for the holidays!